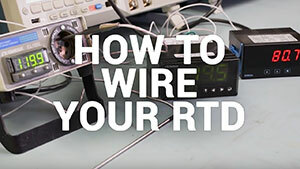 Our experts teach you how to properly wire an RTD sensor and other expert tips to get the correct readings. Predictive maintenance can help you anticipate failure before it happens, saving money, time and making processes more efficient. Learn more about these and other advantages. Rutgers food and innovation embraces automation to ensure food safety standards. Learn how flow meters helped an Oil company achieve accurate measurements of the water flow rate and total flow. Water Treatment Plant required flow measurement in a Return Activated Sludge line. Remotely monitoring water flow into the egg farm complex can help ensure an adequate supply of water.